You’re not supposed to earn Glimmer or get Engrams in the Destiny 2 beta, but there’s a bug that, if you’re lucky, will result in both dropping. Glimmer is not useless here since you can’t spend it on anything, but the Engrams are what’s interesting. The ones known so far both dropped at the end of the Inverted Spire strike on Xbox One, and for only two people. It’s possible more people had the bug, of course, but it’s incredibly rare. Both Engrams were decoded instantly, since there’s no Cryptarch in the beta. The first was discovered by BLACKJESUS71450 (via YouTuber Unknown Player), who luckily recorded a clip of the incident. 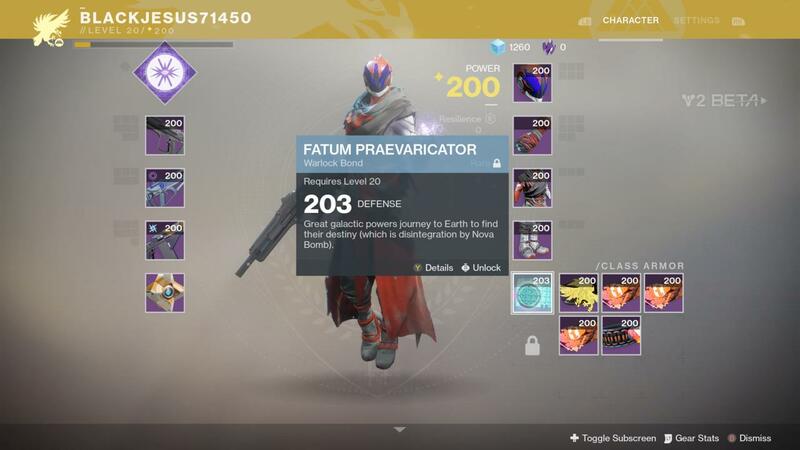 The Engram was decoded into a class armour for their Warlock, called Fatum Praevaricator. Here’s the clip. Notice how he starts earning Glimmer out of nowhere. The class item is also of a higher defence rating than the rest of the beta drops, at 203 instead of 200. We still don’t know what the Light situation is going to be in Destiny 2, but it’s definitely food for thought. Unlike the rest of the possible weapon and gear drops in the beta, this one is rare and not legendary. This is also what happened for LegendRebornHD, who instead got a blue Engram for a weapon. His Engram was also decoded upon pickup, resulting in Refrain-23 – a Suros auto rifle that happens to have Void damage. As far as we can tell, these are the only two players who ran into the bug. No weapon discovery would be complete without some proper gameplay, so here’s Unknown Player’s video showing the new weapon in the first area of the strike. The Destiny 2 open beta was only just extended. It’ll now wrap up tomorrow 6pm PT, 8pm ET, and 2am BST the next day.